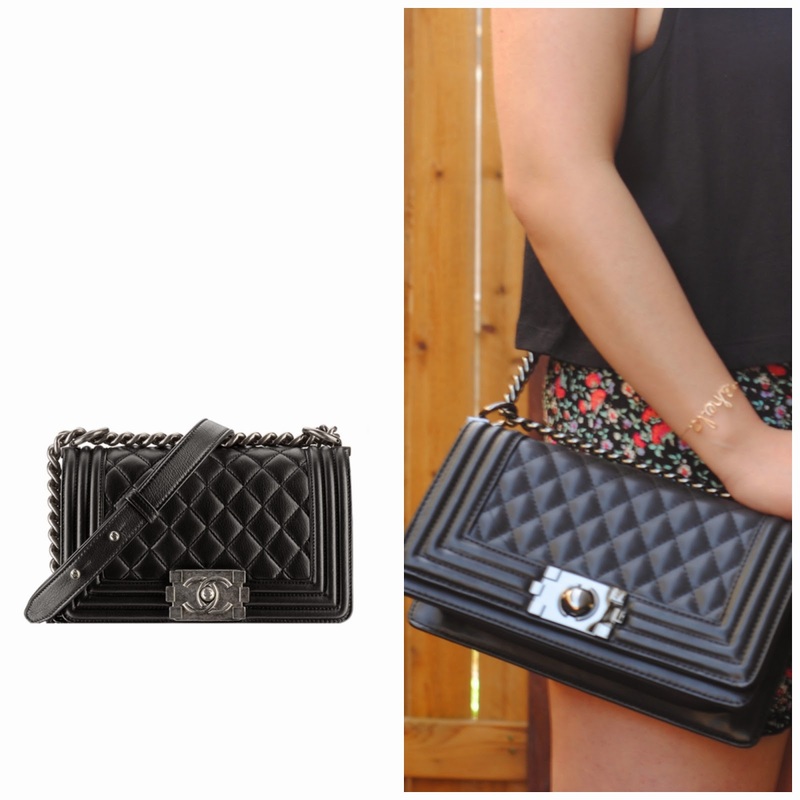 If you had seen my previous post, you would've noticed my quilted crossbody bag from Dailylook that I recently got. The whole reason why I had gotten it was because it reminded me of the beloved Chanel Boy flap bag that I would so love to have in my closet (someday) *sigh*. I went to go check it out while in New York at the Chanel boutique in Soho and it was so pretty in person and I just love how structured it is. But sadly, I don't have the Chanel Boy in my current budget (plus the Hubs would not be thrilled getting me another Chanel right now..) so what a girl to do? 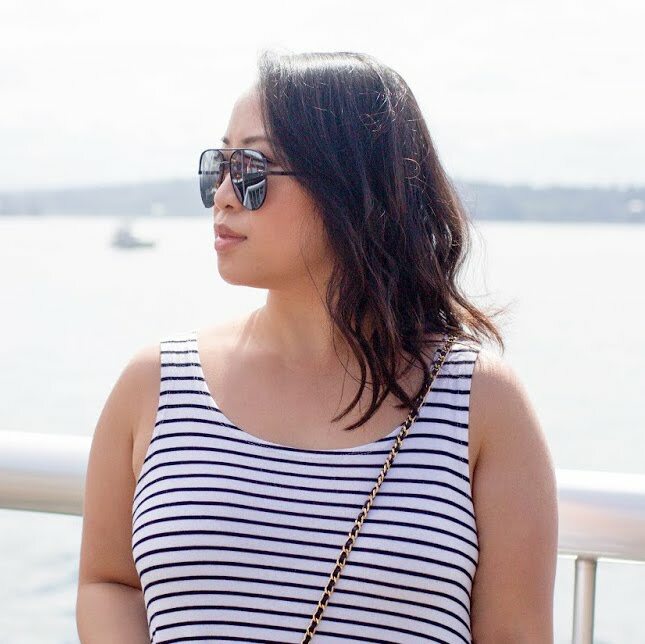 Well I spotted this look-alike on another blogger, Linh Winn and did a double-take thinking it was the Chanel Boy. But after looking at her outfit details, it was actually from Dailylook! And for the fraction of the price!! How amazing. :) Now of course who wouldn't love to get the actual thing but why not in the meantime score something close to it and still get a resemblance. Please tell me what do you guys think and if you would rather splurge or save! This post is part of the campaign challenge with Creditcardinsider.com. I love Chanel as much as the next girl, but I would go with the save here - so cute! Wow! What a great find, It is such a lovely look alike! What a gorgeous bag! It definitely looks similar to Chanel! Omg Sheila, you fooled me there! It looks so similar, what a great find. I would love a boy bag too but I wanted to add a jumbo flap to my collection first. I really like yours. Did you buy it in Seattle? I can't believe how similar to the boy bag it is. Great budget friendly find. whoa what a great dupe!! so cute!! i love the chanel boy too.. but i'm content and trying to be good (for now) LOLS!! Absolutely adore this dark, edgy, and boxy bag with the floral print, very cute!